Arsenal booked their place in the fourth round of the FA Cup at Bloomfield Road as two goals from Joe Willock and a third from Alex Iwobi saw the Gunners cruise past their League One opposition. Unai Emery’s men were not caused too many problems by Blackpool and despite their hard work, the home side struggled to create any clear-cut chances and were comfortably beaten by the Premier League side. The Gunners avoided a potential banana skin fixture having been beaten by Championship side Nottingham Forest in the third round of the competition last season but overcame Blackpool in a subdued atmosphere due to the fans ongoing boycott in protest of their owners. Blackpool fans may have been fearing the worst when Arsenal cut open the Tangerines defence several times in the opening 15 minutes, but Eddie Nketiah failed to capitalise on a couple of chances, first when Ainsley Maitland-Niles played him through on goal, but he put his shot into the side netting. Nketiah then squandered another golden chance to notch his first goal of the season when Maitland-Niles picked out the 19-year-old, but he steered his effort wide just inches from goal. 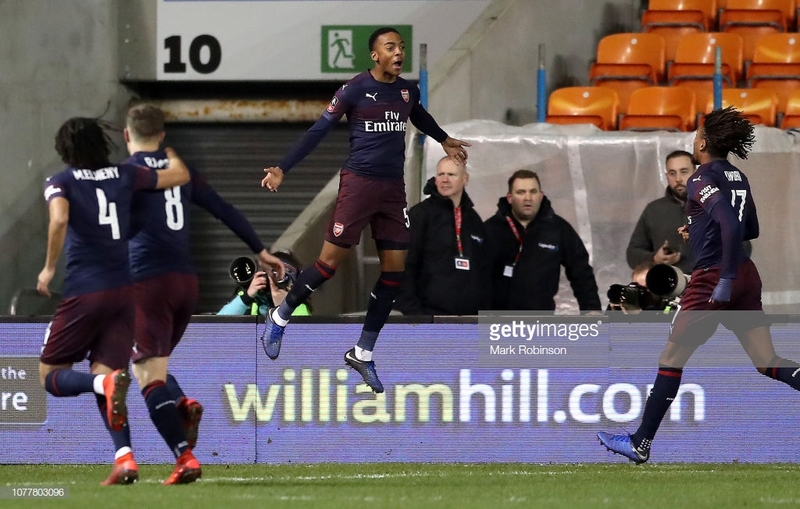 Arsenal had a number of academy products on show and it was 19-year-old midfielder Joe Willock who opened the scoring in Unai Emery’s first ever FA Cup tie as Arsenal manager. Aaron Ramsey’s fine effort from a free kick 20 yards from goal bounced off the post and fell kindly for Willock who closed in on goal and headed the rebound into an empty net. Willock then added to his tally to score his third goal of the season when he arrived at the back post to convert Carl Jenkinson’s cross. The second half was largely uneventful as Arsenal’s stranglehold on the game loosened slightly as Blackpool fought their way back into the game. However, the home side lacked quality in the final third and failed to create any meaningful chances to get themselves back into the game. Willock then thought he had bagged himself a hat-trick when Sead Kolasinac broke into the box and rolled the ball across for the midfielder to score a simple tap-in, but he was denied by the offside flag as Kolasinac was initially offside. Alex Iwobi added a third to seal the tie for Arsenal when he latched on to the rebound of Ramsey’s poked effort towards goal to round off a successful night for the Gunners. 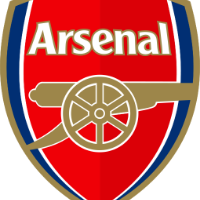 Arsenal can return to north London unscathed having put in a thoroughly professional performance with academy product Willock stealing the show by bagging the first brace of his professional career. Arsenal will discover their fate in the fourth round of the FA Cup in Monday nights draw as the Gunners, who already hold the record for the most wins in FA Cup history (13), look to win the competition once again.